We come to the end of The Book of Exodus this week. This marks the closing of the building of the Mishkan/Tabernacle. At the beginning of the commandment to build the Tabernacle the Torah states “And they’ll make me a sanctuary and I’ll dwell among them.” It doesn’t state “and I’ll dwell in it,” but, “and I’ll dwell among them (the ones who made it). The Jewish people themselves become the vehicle for the divine presence to dwell in this world. What is implied is that the Jew him/herself becomes a sanctuary. How can a human being achieve such greatness? There is much in the Torah about maintaining the sanctity of the Tabernacle. The same applies to the Jewish person. We have mentioned in the past that the Torah has a unique approach to the concept of holiness. The Torah advocates partaking of the physical world, but using it as a means to an end. Animals also partake of the physical world. Only the human being can uplift his/her actions and make them unique and purposeful, thereby distinguishing his/herself from animals. Living on the level that one participates in the world on a physical level, with all of the pleasures the world has to offer, but using it as a vehicle for service of G-d, is true holiness. The last verse in the Book of Exodus is “For the divine pillar of cloud was over the Tabernacle by day, and fire would be on it by night, in front of the Children of Israel, through all of their travels” (Exodus 40:38). The divine presence manifested itself at all times upon the Tabernacle by day and by night. The same is true of someone who achieves true holiness. The divine presence rests upon such a person at all times. 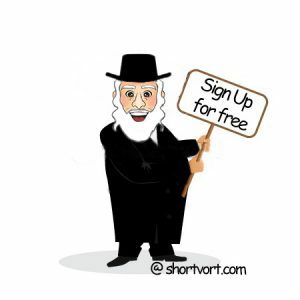 Our forefathers in the Torah are a paradigm for all of the generations of their children. Every generation, as well as every individual, experiences the journeys of our forefathers in the wilderness. Our journeys are unique to us, but similar in nature. We have our high points, as well as great difficulties and low points. One who holds fast to the commitment of living life with a lofty goal, and maintaining a direction, remains consistent through all the the many changes we encounter. This person is traveling through life with the Divine Presence resting upon him/her. G-d’s presence stands guard over him/her paving the way through the rough terrain of life. We are capable of being great people. It starts with making a commitment to improving. We understand that we have a purpose in this world, and set goals to achieve them. Then, G-d will bring us close and help us. May we merit to be the vehicle through which G-d manifests His presence in this world.